Material: 20 gauge CRS frame. Min Size 4” x 4”, Max 12” x 35”. See Fire Rating Below. 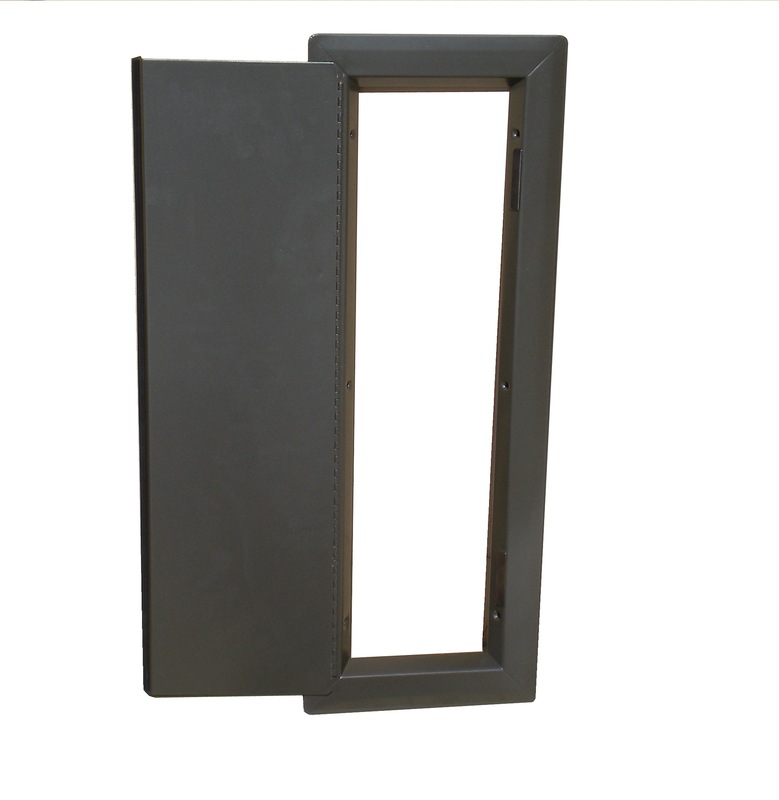 Construction: 1-1/4” trim with radius corners, mitered and welded. Frame has countersunk mounting holes on non-corridor side and 20 gauge door is attached by continuous hinges to one side of the lite. 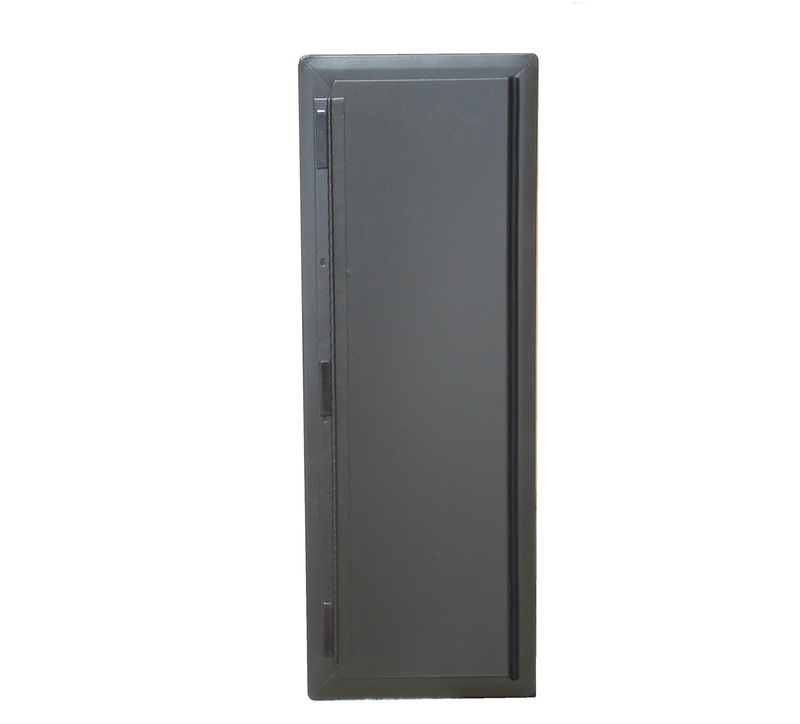 Can be used as side or top opening door. Fasteners: #8 x 1: flathead phillips head SMS to match finish. 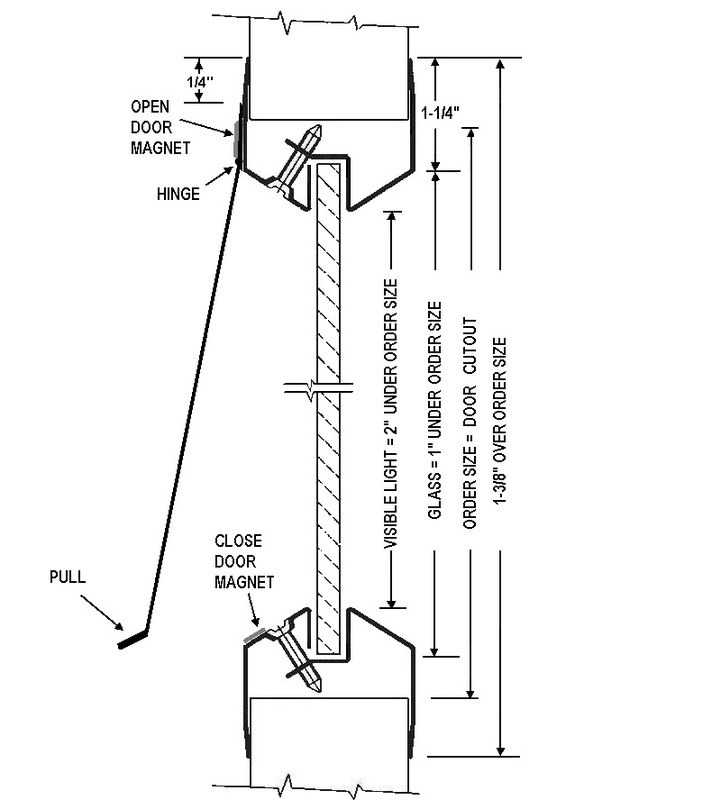 Magnetic catch privided to hold door in open and closed position. Glass: 3/16”- 1/4” glazing. Visible light is 2” under rough opening size. Glass size is 1” under order size. Fire-Rating, Testing & Listings: This is not a Fire-Rated Product.